The Return of Coastbuster - Upland Brewing Co.
Brewery Innovation Lead Matt Wisley explains the humble beginnings and enhancements of our Imperial IPA, Coastbuster, over the past five years. Beginning in 2012, Upland went through a period of rapid change and reorganization. 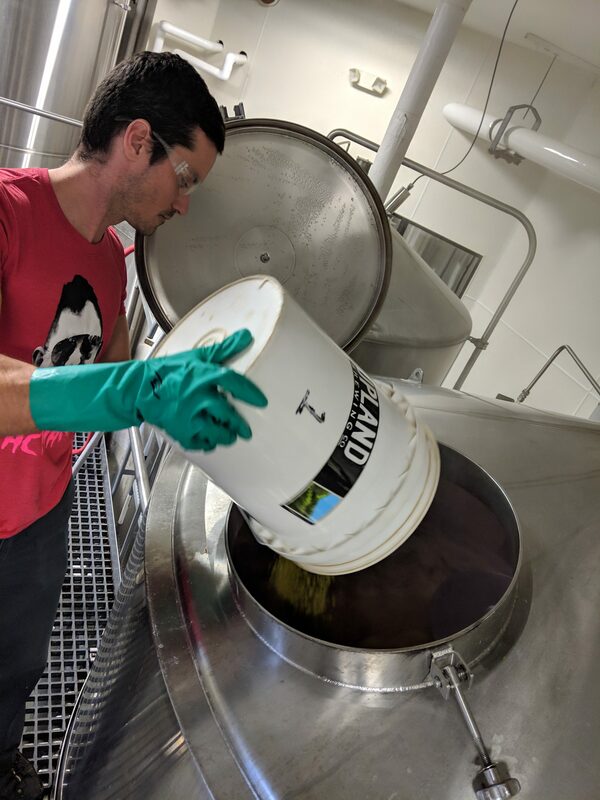 Before opening the Profile Parkway location on the west side of Bloomington, all production took place at the brew pub on 11th street where we currently brew our sour beer. In order to keep up with production, we were basically operating at full capacity just to keep up with demand for the staple beers like Dragonfly and Wheat. There was little to no bandwidth for innovation and experimentation. After moving core beer production to Profile Parkway, more brewing capacity was added and new positions began to evolve to accommodate an influx of fresh talent to the brew crew. Many of us who came into the company at that time were veteran home brewers who were itching for an opportunity to experiment and modernize Upland’s beer portfolio. We soon began a series of “Side Trail” beers, one-off brews, to satisfy our desire for innovation and test new beer recipes and brewing techniques on a small scale. Coastbuster was one of the first of those experiments. It was our first real exploration into the world of the modern American West Coast style IPA. At the time, our hoppy beer lineup was limited to more traditional flavors that stood the test of time, but didn’t reflect the exciting trends in extraordinarily flavorful new American hop varieties that we loved playing with as home brewers. Before Coastbuster there was Double Dragonfly, an Imperial IPA that was rich, malty, sweet, very high in alcohol, and brewed with almost exclusively Cascade hops. Many people loved this beer, but it had begun to decline in popularity and, in some ways, reflected the opposite of our internal preferences for IPAs, as well as growing national trends: lighter malt character and color, more dry, less boozy, and very intense tropical & citrus hop characteristics. When the need for an updated Imperial IPA arose, I suggested the recipe for my go-to home-brewed Imperial IPA: 8.5% ABV with a light malt character and dry finish to allow the intense tropical and citrus flavors of Amarillo, Citra, and Simcoe hops to shine through. This version of Coastbuster was well received and existed as our everyday Imperial IPA for 4 years. Since then, we have greatly expanded our use of intensely flavorful modern American hops in several new beer styles throughout our portfolio, even including a few of our oak-aged sour creations. Over time, as tastes evolve and new and better ways to utilize the amazing flavor and aroma of hops arise, we are constantly searching for ways to maximize our customers’ experience with hoppy beers. 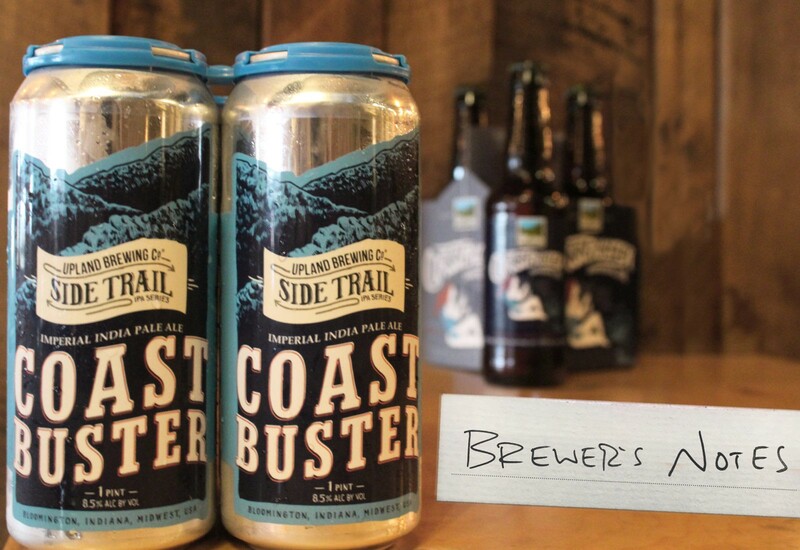 That’s why, with the rise of juicy New England Style IPAs, we have allowed Coastbuster to sit on the sidelines for a while. 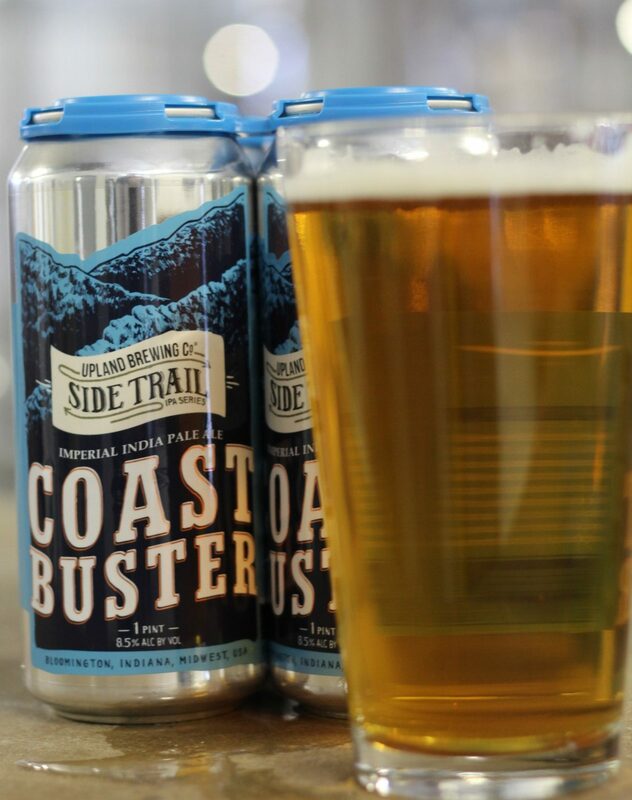 Now, in the first iteration of our Side Trail series for 2019, we’re bringing back an updated version of the original Coastbuster recipe that keeps the West Coast approach to the style, but utilizes some of what we’ve learned from brewing New England style IPAs by doubling the dry hopping rate. Drinkers can expect the same light clean malt character and a very similar hop profile, but with more intensity and depth of flavor & aroma.